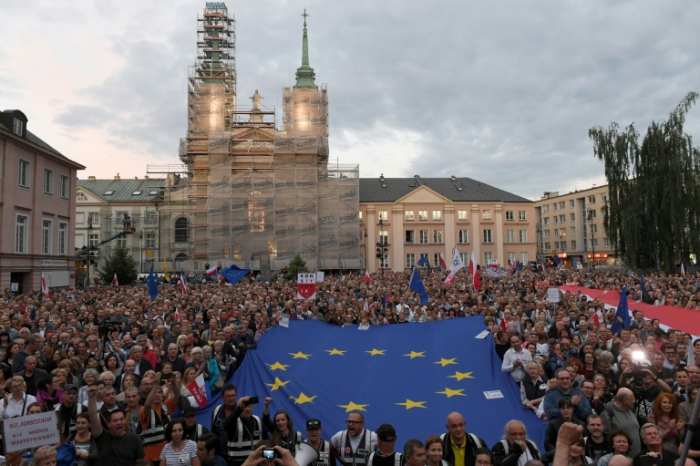 The EU on Wednesday launched fresh action against Poland over its controversial judicial reforms, saying a new disciplinary regime for judges would have a "chilling effect" on legal freedoms, AFP reported. In the latest round of the bitter tussle between Brussels and the right-wing government in Warsaw, the EU said that under the new system judges would be punished simply for doing their jobs independently. The EU has already launched unprecedented proceedings against Poland over "systemic threats" to the rule of law that could see its EU voting rights suspended. European Commission Vice-President Frans Timmermans said a new infringement procedure had been set in motion over disciplinary rules for judges. "The main objective of this disciplinary regime is -- as with the rest of the judicial reform -- to systematically subject judges to the political control of the executive," Timmermans said. Polish judges who have taken part in public debates or commented on the reforms have been targeted by disciplinary officers, Timmermans said, along with those asking for rulings from the European Court of Justice. "All this has an obvious chilling effect on the activities of judges, and this is incompatible with the requirements of judicial independence as detailed by the European Court of Justice," Timmermans told reporters. "The position of individual judges is at risk, with the careers and means of living being endangered for the mere fact of trying to do their jobs independently." The commission, the bloc's executive arm, will write to the Polish authorities and expect a reply within two months, Timmermans said.